Yeah that got your attention didn’t it? Every now and again when you are travelling you come across a real gem, something completely unexpected that you have never heard of before. 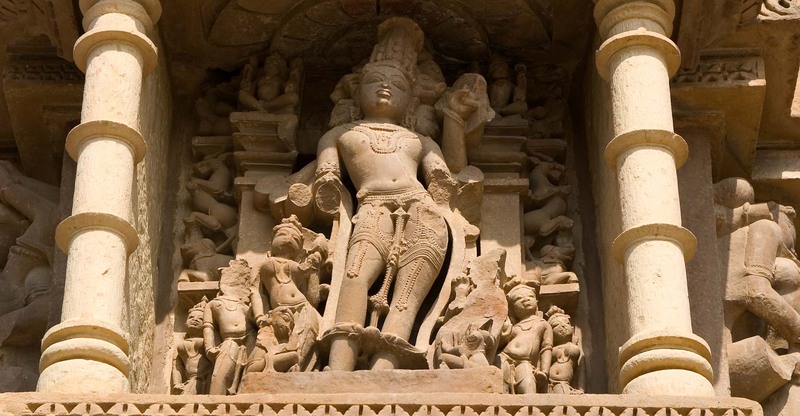 While all of India was fascinating, for us, Khajuraho was that gem. We had no idea what to expect in this city of temples, and were blown away by the architecture and the history of the place. 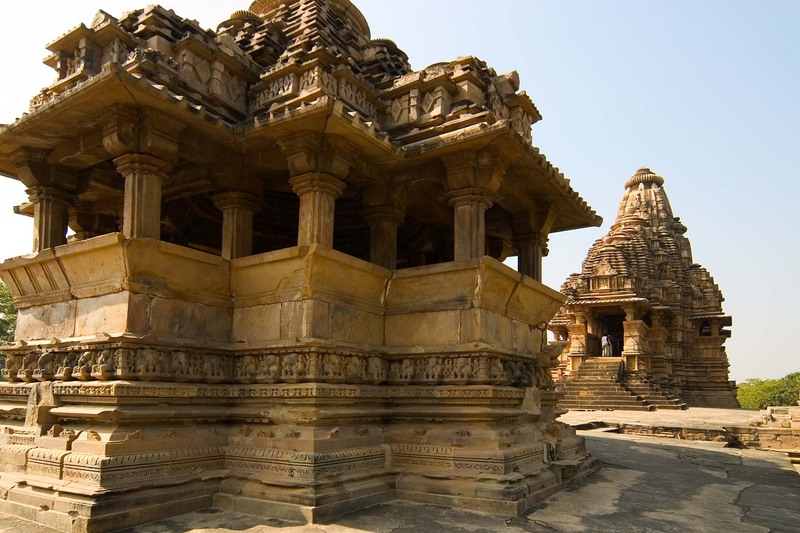 The temples are UNESCO World Heritage listed – as you would expect – and are the legacy of the Chandela dynasty. They were built between AD 900 and 1100, however when Chandela lost power the temples were ‘lost’ and were subsequently left hidden for 700 years until an English Army officer rediscovered them. 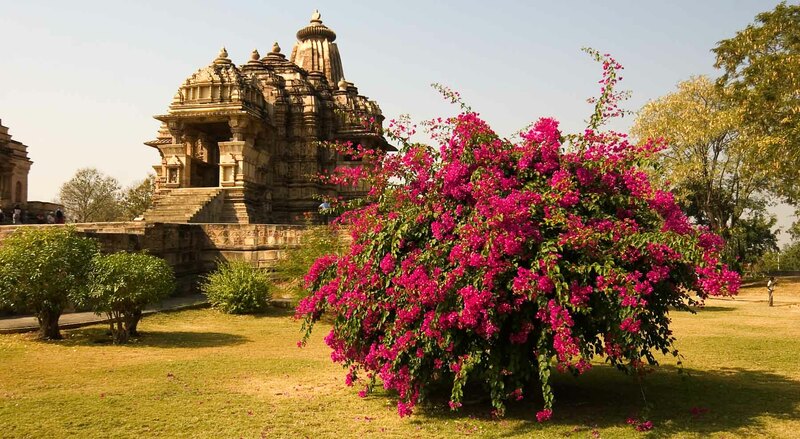 Eighty-five temples were built, but only 25 remain standing – although while we were in Khajuraho we were told another temple had been found buried beneath a mountain – made me think about the mountains around us in a whole new light. What other delights might be buried? 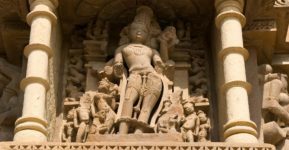 The temples are amazing, so detailed and while they are in various states of repair – some still completely intact while others have lost much of the detail – all are really interesting. It’s hard to comprehend the size and scale of each of the temples until you are standing next to them – dwarfed by the amazing buildings. You can go into each of the temples – just look out for the bats. Khajuraho itself feeds off tourism and each shop sells much the same as the one next to it. It’s a pleasant town, but the constant badgering by the shop owners can become a little annoying. The town is also close to another national reserve – Phana Reserve. We hadn’t read anything about this reserve but one of the staff in the hotel told us about it and said it was home to some tigers. We were sold, so headed out for a half day tour. We saw plenty of birds, crocodiles, monkeys and deer, but still no tigers! When we got back to the hotel that night, the owner told us there weren’t any tigers in the reserve, they’ve all been moved to a separate park for their protection! Ah well, it was still a pleasant way to spend half a day!